A father and daughter run into trouble while prospecting on a mysterious planet. 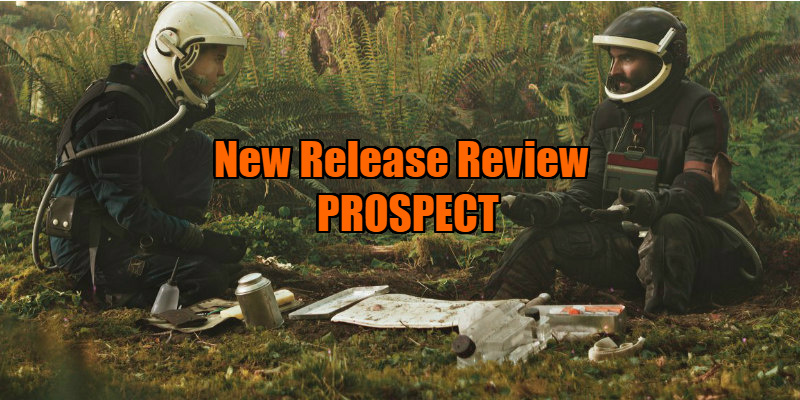 Prospect is the debut feature from writer-directors Christopher Caldwell and Zeek Earl, and and though ostensibly a sci-fi film, it is more a variation on the tales told about prospectors way out West, in the lawless era of the 19th century Gold Rush. Just like those old-time treasure-hunters, the characters in Prospect have all journeyed a long way from home in the hope of striking it rich. The film introduces us to teenager Cee (Sophie Thatcher) and her father Damon (Jay Duplass), an interplanetary prospector. They are aboard a grubby space pod orbiting an unknown planet, where they are looking to mine a valuable alien resource in search of profit. So far, the pickings have been meagre, and the duo are living hand to mouth. Dad Damon especially seems to be struggling with the emotional and physical toll of their insecure life. However, he thinks their luck is about to change because he has entered into a deal with a group of mercenaries who want to excavate a massive deposit of precious alien material at a location on the planet called "the queen’s lair." Damon’s cut of the profits should allow the pair to leave the grim prospecting life behind. Having landed on the muddy alien planet, where the atmosphere is unsuitable for humans, father and daughter make their way to the location in helmeted suits fitted with air filters. On the way, they come across some deposits of the alien gems. They go through the process of cutting into a bulge in the ground and pulling out a fungi-like white creature. They then have to skilfully and precisely cut it open before it liquifies itself. It’s a delicate procedure. Things do not go exactly to plan. As they are trekking through alien woodland, they come across a pair of shady chancers - Ezra (Pedro Pascal) and his partner (Luke Pitzrick). Matters take a turn for the worse and there is a confrontation which leaves Cee and the unscrupulous Ezra alone, having to navigate the planet and deal with the violent prospector/mercenaries. The story then outlines the negotiations, compromises, shifting allegiances, power-plays and life and death deals between Ezra, Cee and their rivals or antagonists. The film is also about a young girl forced to grow up and confront violence in the name of survival and practicality, while having little time to deal with her own tragedies. At the beginning of the film, Cee is just another young teen, anxious to get home. By the end she is a young woman who has managed to maintain her moral compass amid the lawlessness and greed exhibited by the unscrupulous con-men and vengeful resource-bandits she has to deal with. Thatcher’s performance as Cee is central to the movie. In her feature-film debut, she brings a youthful naïveté to a role which requires her to emotionally mature into an independent young woman who must display shrewdness, grit and sang-froid in the face of adversity. Pascal, as Ezra, starts out as a deeply untrustworthy character with only his own self-interest at heart, but one who then puts his dubious negotiating skills and cunning to the service of keeping himself and his reluctant young partner alive, and in finding an escape route, preferably with the spoils. As we get to know him better, a certain amount of sympathy for this rogue grudgingly emerges (not least during a gruelling amputation sequence which cements the precarious relationship between Ezra and Cee). 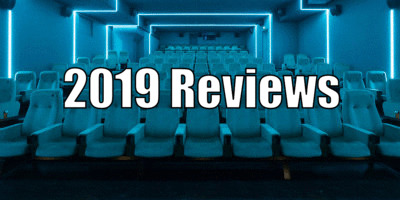 However, Prospect does disappoint by a lack of depth to its characters, which tends to make the movie rely on the spirited performances of its two leads. Prospect’s visuals are influenced by the grittier, industrial space stories that came with the appearance of films such as Alien. All the equipment in Prospect looks as if it’s been frequently repaired and re-used. The spacesuits are grubby and liable to malfunction, the space pod they travel in has a tendency to blow fuses, the weapons they carry are shaky guns or unwieldy, rifle-like contraptions and the shoot-outs resemble those one might see in an old Western movie. The film is well-acted but has a rather lacklustre story to tell. It doesn’t offer much by way of an examination of the human condition or the consequences of making difficult decisions. It would enhance Caldwell and Earl’s storytelling if they had more complex characters within a stronger narrative. Nevertheless, Prospect is an intriguing movie with a sophisticated sense of design and aesthetics. It’s a good example of practical filmmaking, demonstrating how one can achieve a convincing ‘world’ using workaday costumes and tools accompanied by well thought out production design, all helping to create the ‘feel’ of a film without resorting to CGI. 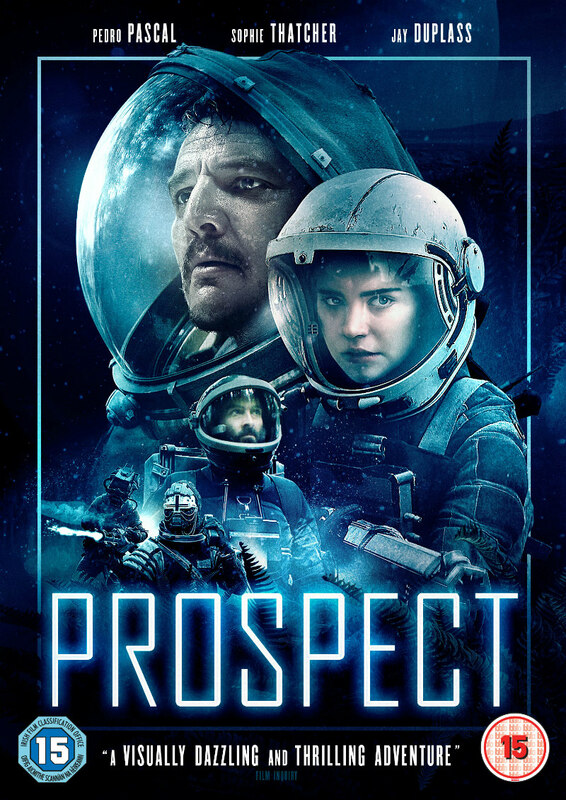 Prospect is on Blu-Ray/DVD/VOD April 22nd.